HTC One M9 Apn Settings – Quick setup guide. 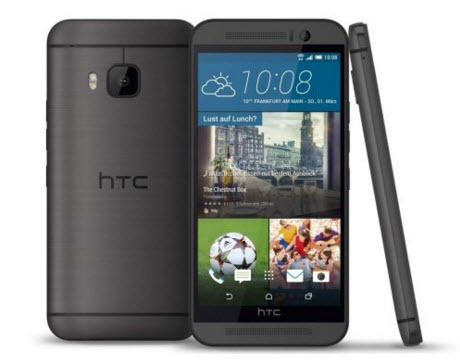 The powerful HTC One M9 smartphone is right now one of the top selling ones in the United States, being such a popular phone, of course a lot of people are buying it from amazon or somewhere else and have it sign up for prepaid services. If you need to quickly setup the APN Settings on the HTC One M9 phone, this is the right post for you! Just to give you some quick overview of the piece of technology you have just acquired, this phone comes equipped with the latest hardware improvements that HTC has to offer. Introduced in March 2015, it comes with a super nice 5.0 screen, with 1080 x 1920 pixel resolution, of course Gorilla Glass 3, super scratch and crack resistant. As on the software side, factory loaded with Android OS, v5.0 (Lollipop), gives you a really smooth and elegant user interface. Ok, now that you know a little bit more about the phone, we’ll go straight to the APN Settings configuration steps and help you quickly set it up! Now, we always recommend creating a new APN instead of editing existing ones. So inside the APN screen please use the menu key and select New APN. Fill in all the required information on that screen, Save and Exit. If you need the APN Settings for the carrier you are using, scroll down to the next section where we’ve provided a list of the most common APN Settings for the main US operators. Once you load the information in, you should be able to browse the internet and send multimedia messages on the phone. Please note that sometimes these settings are also called MMS Settings for HTC One M9, they basically referred to the same thing.